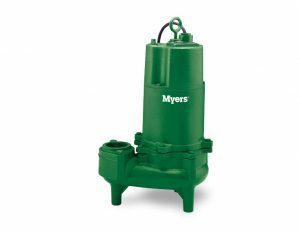 The Myers® WHR series sewage pumps feature all cast iron construction to withstand the most extreme conditions. Available in single seal, and double seal models for additional protection against water leakage. The enclosed two-vane impeller provides high-efficiency pumping and will handle stringy, trashy 2″ solids without clogging. 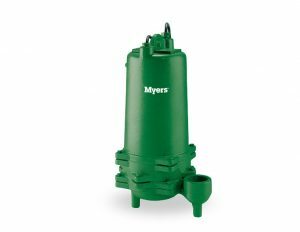 Designed for sewage and effluent and can be used for applications requiring high heads. For pump specifications and technical data, Myers WHR series.